The intersection of religion and politics has been a part of the U.S. since the dawning of the new nation in the late 18th century. To what extent is the separation of church and state an actual reality, and how many Americans truly believe it should be the case? The McCain Institute is calling for “mavericks” to cast their votes for human rights this midterm election. Kurt Volker, executive director of the McCain Institute, joined The Show to talk about the campaign. Think for a moment about your morning. Maybe you woke up, ate breakfast, commuted to work. Well, Niklas Winter spent his morning preparing to walk across a slackline suspended between two hot air balloons. Now that’s a way to start the day. It’s just a few weeks until midterm election day on November 6. But, as you’re making decisions about who to vote for, the president of the National Association of Secretaries of State recently said that cybersecurity is keeping many of them up at night. 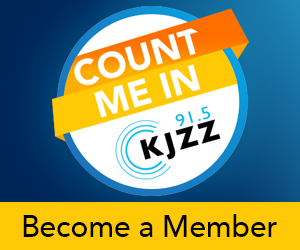 Tuesday afternoon, KJZZ hosted a debate among the four Arizona Corporation Commission candidates — Democrats Sandra Kennedy and Kiana Maria Sears, and Republicans Rodney Glassman and Justin Olson. This week, retired Supreme Court Justice Sandra Day O'Connor announced she is withdrawing from public life. In a year in which we’ve seen countless powerful men taken down by women who accused them of sexual harassment or assault — #MeToo story after #MeToo story — you might expect people’s attitudes toward victims of sexual harassment have softened. The artificial intelligence that guides self-driving cars will need to clear moral guidelines on how to make life-or-death decisions. But can we all agree on what those rules should be? A new study tried to find out. With the midterm elections less than two weeks away, candidates for office and political groups are pouring record amounts of money into campaign ads. At an interview on a Friday in his office, Arizona Attorney General Mark Brnovich wore a blue suit, red tie and black Nikes. I complimented his shoes and Brnovich said they get him flack from fellow Republicans. For Brnovich, the culture war over Colin Kaepernick does not tip the scale against being fiscally conservative. Atsuo Sakurai has made a successful business out of Holbrook where he found the dry, Arizona air and groundwater makes for very good American sake. Phoenix’s Aviation Department gets a green light to buy and lease land owned by the Aviation Department. Bernie Sanders was in Arizona Tuesday, speaking to crowds in Tucson and Tempe. The Vermont senator and former presidential candidate stumped at rallies for David Garcia, the Democrat running for governor. A federal program for Native American tribes to access national crime information databases is expanding.